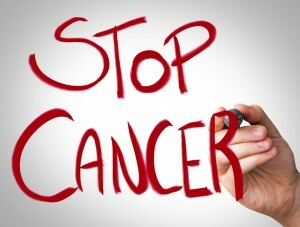 According to The Oral Cancer Foundation, approximately 43,250 Americans will be diagnosed with oral cancer this year. This common disease has been known to lead to an estimated 8,000 deaths annually, but that number is gradually – and thankfully – diminishing. This decrease in the number of casualties is due in large part to increased awareness and routine oral cancer screenings like those performed at the Westfield, NJ dental practice of Dr. David M. Weinman. Oral Cancer Screening: How Important is It? As with any other type of cancer or serious illness, oral cancer is most successfully treated when it is diagnosed in its earliest stages. Routine screenings at our office allow Dr. Weinman to detect the early signs of oral cancer before they become visible to the naked eye. Though there is no substitute for oral cancer screenings performed by a trained and qualified dental professional, there are some signs and symptoms you can look for at home between visits to our office. Red or white patches, unexplained swelling, tenderness or numbness, and unusual hoarseness are all common symptoms often associated with oral cancer. However, because these problems can also be indicative of other issues, it’s important to contact Dr. Weinman anytime you notice something out of the ordinary. If it has been more than six months since you last visited the dentist, it’s time for your routine check-up! At David M. Weinman, DMD in Westfield, NJ, we always make sure that you feel welcome and comfortable, walking you through the steps of your treatment in a way that is always honest and easy to understand. Contact us at our family-friendly practice today to find out more about oral cancer screening and how our team can help protect you and your loved ones. We happily serve patients from throughout Scotch Plains, Cranford, Fanwood, Mountainside, and beyond. We can’t wait to see your beautiful smile!